So what's in Kesha's Body Butter? Well... it is made from cocoa butter, shea butter, coconut oil, shea oil, avocado oil, jojoba oil, sweet almond oil, and scented with lavender and jasmine essential oils. All of these ingredients are used in a raw unrefined state. The process that I use to make the butter is gentle so that the nutrients of the ingredients are preserved. The hard butters (cocoa and shea) are melted over a double boiler (bowl sitting on top of a pot of simmering water) and then combined with the liquid oils and cooled to room temperature. The essential oils are then added and the mixture is whipped to a light and fluffy consistency. Shea Butter & Oil: Shea butter is a natural humectant; it acts as a natural moisture barrier that hydrates and protects the skin. It contains cinnamic acid that provides protection from UV rays and acts as an anti-inflammatory agent. Shea Butter also contains fatty acids and vitamins A & E that protect against free radical damage, moisturize the skin and hair, and increase elasticity. It helps tissue cell regeneration and softening of the skin, which reduces wrinkles and has also been shown to boost collagen production. Coconut Oil: Coconut Oil is one of the few oils that have the ability to penetrate the hair shaft adding strength and shine to dry/frizzy hair. Its fatty acid content (Caprylic and Lauric) helps improve elasticity in the skin and hair and helps minimize the appearance of stretch marks, scars and other forms of hyperpigmentation. The fatty acids in coconut oil reduce inflammation and moisturize which makes them a great solution for all types of skin conditions. 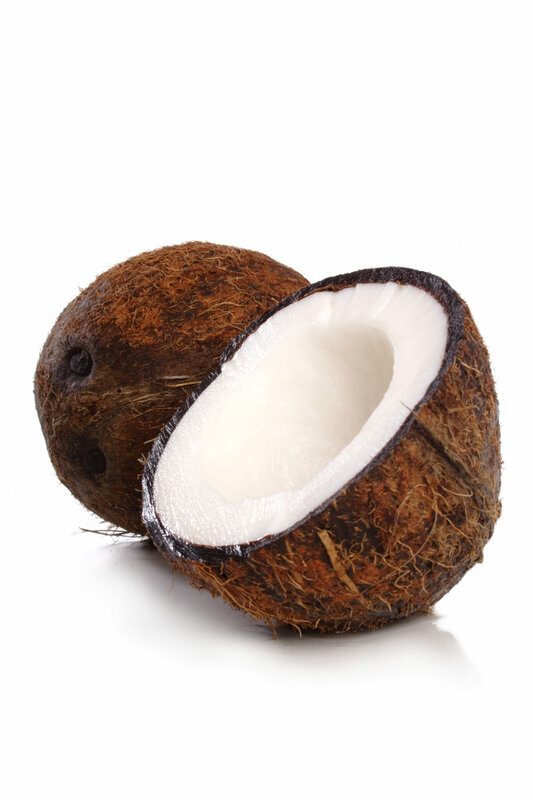 The antimicrobial properties of coconut oil balance out the fungal sources that can cause many skin conditions. Sweet Almond Oil: Almond oil has antioxidative properties and is known for protecting the skin from UV rays along with keeping the skin soft and supple. It can also fight acne because it contains vitamin a. It is a light oil that easily absorbs into the skin, making it suitable for those with sensitive skin. Almond oil is used as a natural remedy for eczema nd psoriasis because of its anti-inflammatory nature. Jasmine & Lavender Essential Oils: Though I use both of these oils because I love the scent, they are also other benefits. Lavender essential oil is not just a relaxing fragrance, it also benefits the skin by slowing aging with powerful antioxidants. Jasmine essential oil is antibiotic and antiviral that can help calm skin irritation and inflammation. It helps reduce blemishes and soothe irritated skin. Well, I hope this information was helpful. If you have any questions please let me know!